Now that Janu-worry is finally over and pay-day has made its way into our bank accounts, we’re ready to welcome in the month of love… or are we? For those of us who aren’t as keen to wear red and white or celebrate Valentine’s, don’t fret. There’s still plenty to do, see and experience in Cape Town this February. Check out this list of 10 of our favourite upcoming events you can attend. The annual family-friendly festival returns, featuring a 12 hour line-up of South Africa’s top music acts including?Jack Parow, Freshlyground, The Kiffness, Karen Zoid, Francois Van Coke and Southern Guild. Festival goers can enjoy Saggy Stone’s great selection of core beers, as well as specialty, limited edition Brewers’ Small Batch beers. The festival will be serving a range of Amandalia spirits, including Rum and Cider, Gin and Tonic Lite and Brandy and Ginger Ale. ?A variety of gourmet food trucks are also available to help fuel the fun. The largest art fair in Africa returns, showcasing?cutting edge contemporary art. The fair provides a platform for galleries, collectors, curators and artists from around the globe to engage in cultural and economic exchange. Join SAMA winner, Anna Davel and Sima Mashazi (who’s recently starred in Miriam Makeba: The Musical) in celebrating Ella Fitzgerald’s 100th birthday. ?The Lady of Song is widely acclaimed as one of the best female singers in history with a timeless repertoire. Davel and Mashasi present?covers of ‘I Got Rhythm’, ‘Ain’t Got That Swing’, ‘Can’t Take That Away From Me’, ‘Cheek to Cheek’, and ‘Summertime’. The 13th installment of the annual music festival?features an incredible line-up of South African folk and acoustic artists. The evening is set to be an experience of the finest musical storytelling from the personal journeys of some of South Africa’s finest singer-songwriters including?Ard Matthews, Arno Carstens, Femi Koya, Qadasi and Maqhinga, BYRNN, Keren Lindley, Jeremy Olivier, Ben Dey And The Concrete Lions, Manny Walters and AnecNote. Cape Town residents walk, cycle, skate, play, dance, explore and connect with neighbours, friends and family on a car-free street. ?The aim of the Open Streets programme is to radically increase the use and ownership of roads as public spaces by individuals and communities throughout the city to ultimately help bridge the spatial and social divide in Cape Town. The Australian stand-up comedian, political commentator, actor, and writer brings his latest show?The Night Talker?to Cape Town. Jefferies has firmly established himself as a popular and respected comedian with a controversial and belief-challenging stand-up style that continues to surprise and entertain audiences across the globe. The Cape Town Museum Night is an annual event that sees the city’s museums open their doors to the public after hours, for free. ?Participating institutions include Iziko SA Museum, SA Jewish Museum, District Sic Museum, Iziko SA National Gallery, Iziko Planetarium, CT Holocaust Centre, SA Sendinggestig Museum, Iziko Slave Lodge, A4 Arts Foundation, Prestwich Memorial, Muller’s Museum and The Granary Building. The annual Cape Town Sixes amateur cricket festival is a combination of Africa’s biggest 6’s tournament, music from top local artists, food and social development in the townships of the Western Cape. ?Cape Town Sixes also introduces a football league, women’s league and junior cricket tournament for the first time this year,?for all levels of competitiveness. The festival, now in its 4th year and on its 8th event, is at the forefront of the ever-growing gin scene. The event is a platform to exhibit the most popular, lesser known and new gin brands, allowing them to showcase their gins to the fanatics across South Africa. Festival goers can expect?artisanal eats, a line-up of top South African music acts, and a curation of the gin scenes finest purveyors, spirits and cocktails. The internationally acclaimed creative conference returns. In keeping with the Design Indaba ethos – a better world through creativity – the upcoming conference aims to inspire design activism through compelling presentations that combine career-changing insights and cutting-edge work. ?From architecture and industrial design to pop culture, emerging technologies and environmental problem-solving, the 2019 edition offers inspiration and insights across industries. 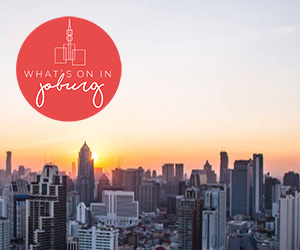 See what else is happening in Cape Town?this month. ?For regular updates on the best events?subscribe to our weekly newsletter.